Lazy chefs, you’ve come to the right place. 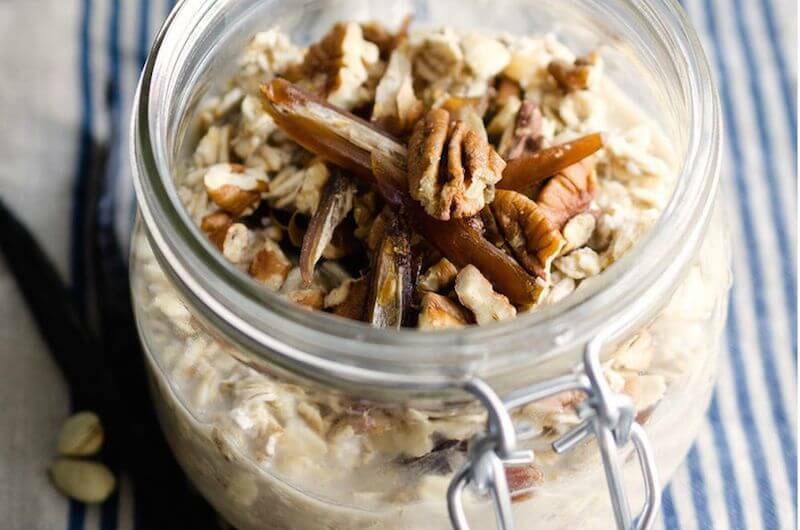 If you want to start your days off with a healthy breakfast but can’t bring yourself to set the alarm early enough to cook anything, then overnight oats are the gift you’ve been waiting for. I’ll admit, quick-cooking oats are one of the blandest foods around. 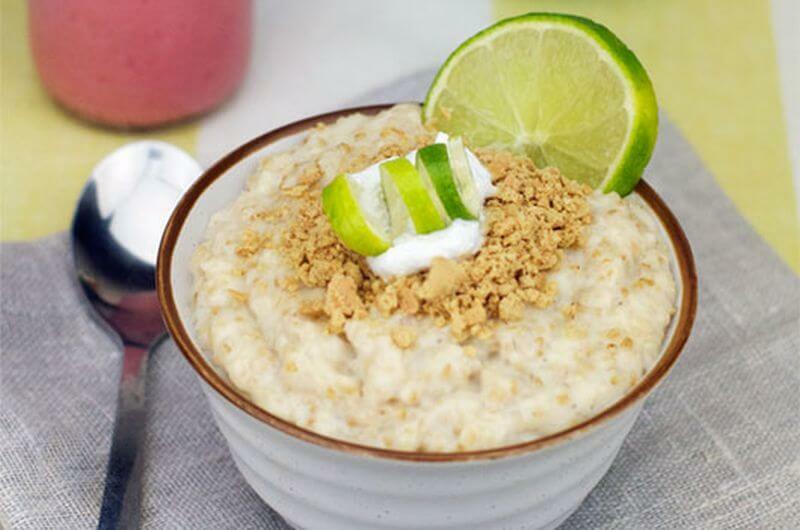 These healthy oatmeal recipes are most definitely not, though. They’re far from the flavorless mush you’re envisioning and the best part is, they require no cooking at all. All you’ll have to do is set aside a few minutes each night to prep your oats, let the whole shebang sit overnight in the fridge, and voila, you’ve got yourself a delicious and nutritious meal. So, experiment with any of these great recipes or design your own. No matter which you choose, you’re guaranteed to wake up to a hearty and flavorful breakfast. Oatmeal will start your day off right with complex carbs and fiber. And when you need an even more filling breakfast than, simply mix in additional ingredients based on the flavors and nutrients you want. 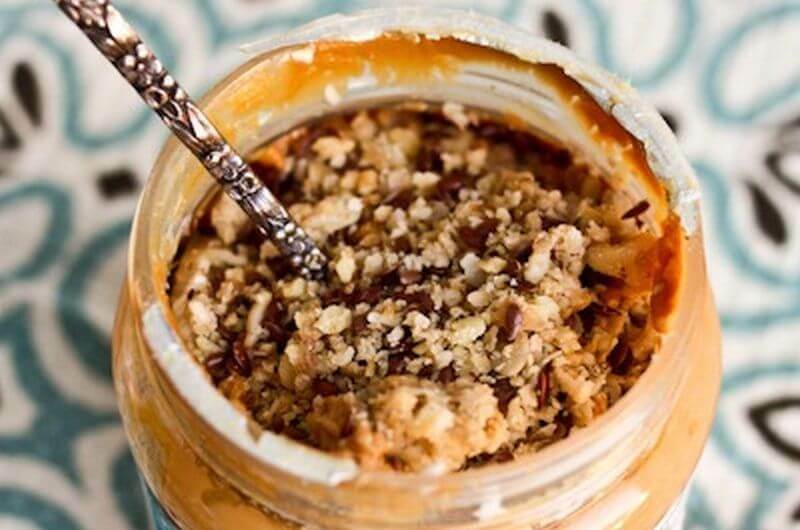 Swirling in a spoonful of peanut butter, for example, adds protein plus the fat needed to power up your brain. 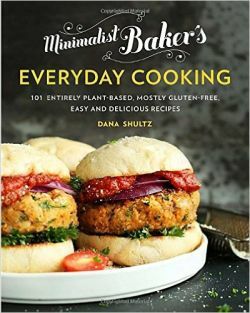 For more ways to meal plan without it being stressful, particularly during your busiest weeks, pick up Everyday Cooking: 101 Entirely Plant-Based, Mostly Gluten-Free, Easy and Delicious Recipes by Dana Shultz, also known as Minimalist Baker. 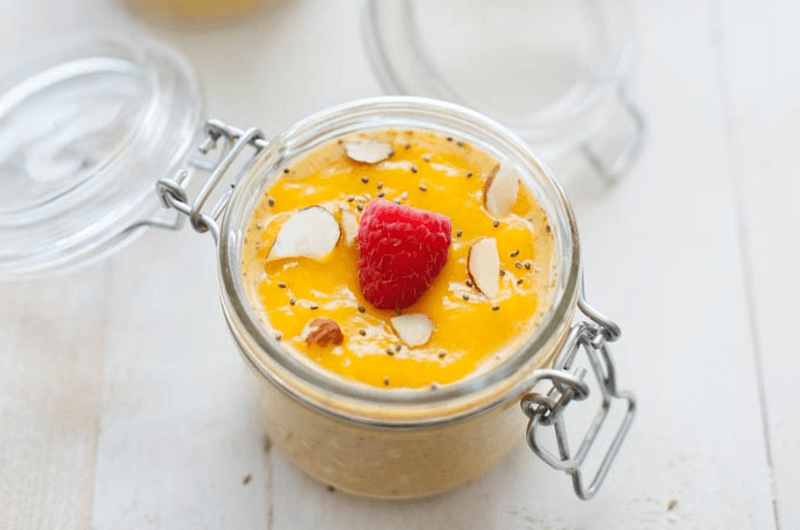 Start your day with a burst of color and flavor with these mango overnight oats. Blending fresh mango with coconut milk will help thicken up the mixture, so you’ll hardly need more than oats and spices. On top of the standard cinnamon and ginger, this recipe includes ground turmeric to make the orange pop. 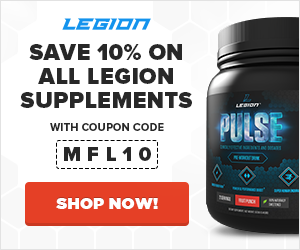 Plus, it’s a great anti-inflammatory that can help with muscle cramps and joint pain. While any fruit can be mixed into overnight oats, something juicy and soft like strawberries will help thicken it up so in the morning you’ll have more to spoon up than soggy oats. This recipe also includes a couple ingredients to make these strawberry overnight oats taste like cheesecake: a single serving of Greek yogurt and a touch of cream cheese. Craving cookies for breakfast? 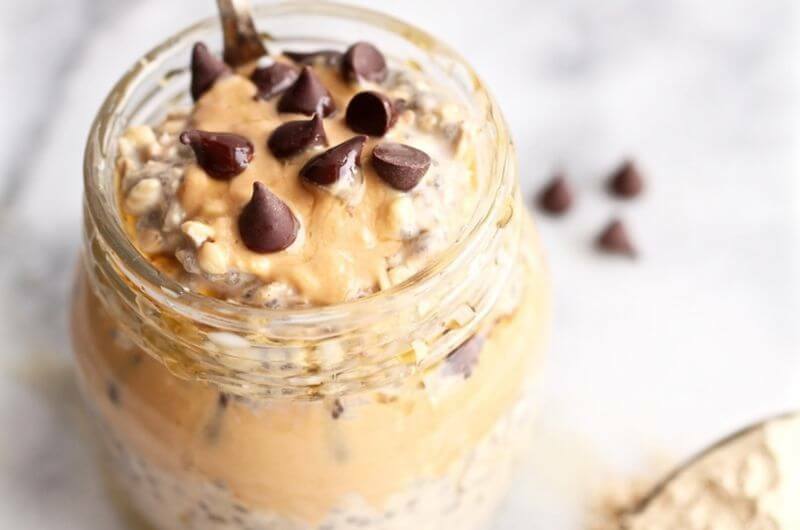 Skip the chocolate chip or oatmeal raisin, and enjoy this version of overnight oats instead. To recreate the flavor in a healthy way, cashew butter lends the richness of a real cookie, while maple syrup adds not just sweetness but also flavor. Top with chocolate chips, raisins, or a sprinkle of cinnamon. 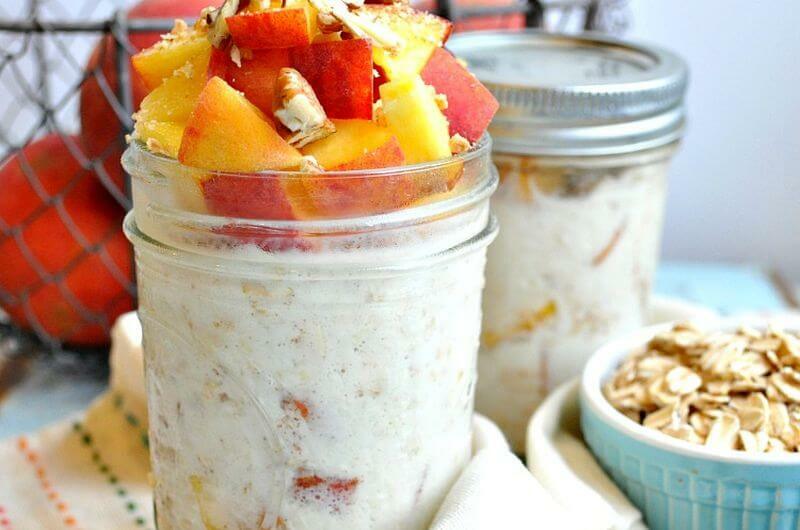 Eat your favorite summer dessert for breakfast with these peach overnight oats. Diced peaches are mixed right in – and you can serve it with more fresh fruit – but what really sets this apart is the rest of the topping. To give it that cobbler flavor, there’s a mix of pecans and graham cracker crumbs. Start your day off with a bowl full of chocolate. 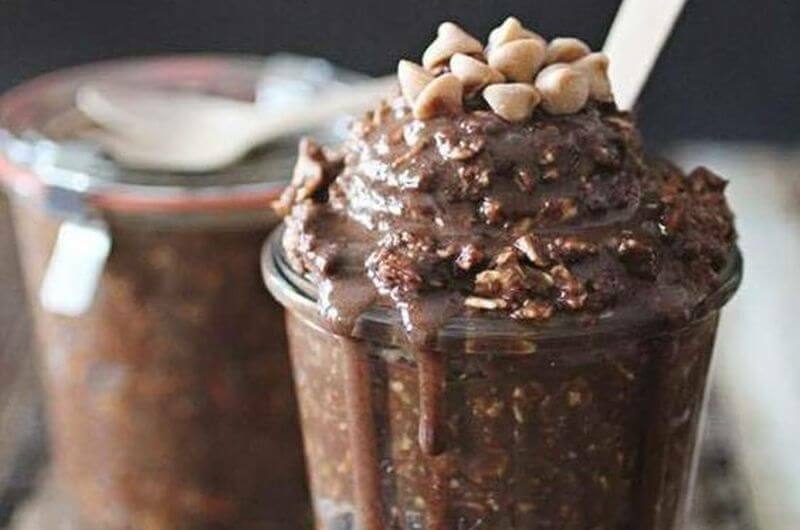 These brownie overnight oats are full of cocoa powder and chocolate protein powder, but what takes the recipe to the next is a combo of almond and coconut. Altogether, the flavor combo makes it taste like a brownie mixed with an Almond Joy candy bar. Other combinations of extracts could work too, including mint or raspberry. In this easy breakfast recipe, the maple flavor is enhanced by adding Medjool dates and pecans. And since dates are such a great natural sweetener, you can swap out the maple syrup for a sugar-free version or an extract. For the vanilla, you’ll get better flavor from a paste or by scraping a vanilla bean pod, but extract will work too. 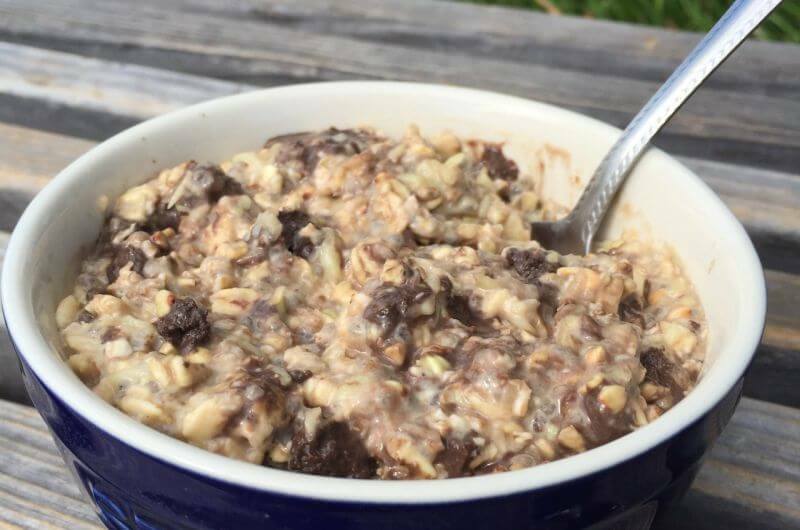 Looking for a low-carb overnight oats? Believe it or not, this recipe doesn’t contain any oatmeal. 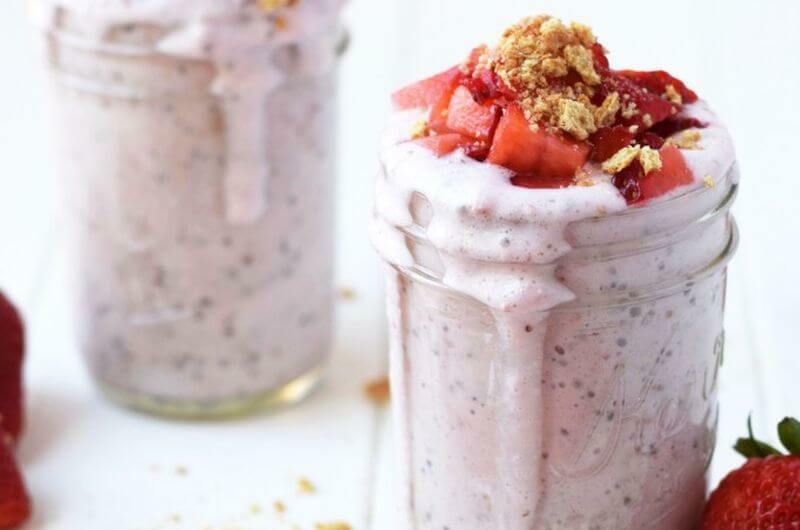 Instead the jar is filled up with Greek yogurt, whey protein powder, and seeds. By using ground flaxseed instead of oats, each serving contains less than 20 grams of carbs. Thanks to that, this breakfast has more protein than any other nutrients. To enjoy oatmeal without having to cook a single thing, all you need is something to soak them in. That could be milk, yogurt, juice, fruit puree, or just water. The concept is that easy. When you want to create your own overnight oats recipe with what you have, use these ingredients and ratios as a base. Change out the milk for another liquid if you prefer, and then mix in any add-ins you have on hand. 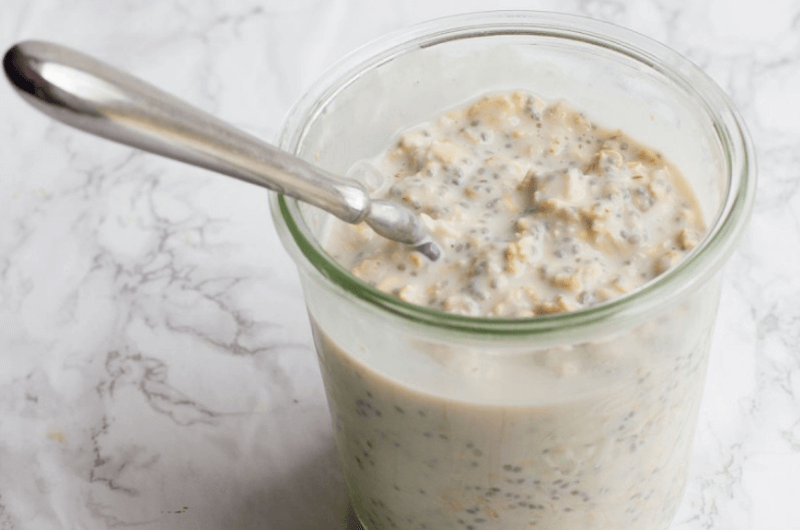 Preparing breakfast doesn’t get much simpler than overnight oats, but that doesn’t mean the result has to be run of the mill. 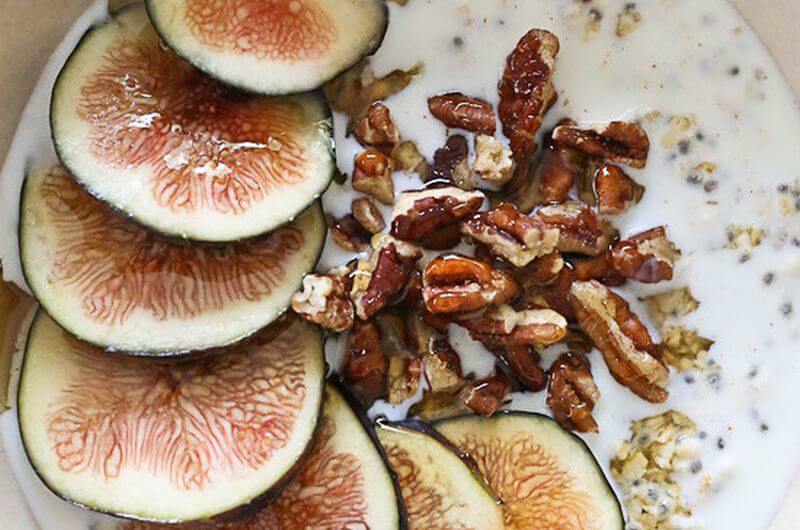 Swap out the standard fruit for figs, and you’ll have a grown-up version of oatmeal that doesn’t even need to be cooked. And if pecans aren’t your favorite, this will also taste awesome with pistachios. Turn a scoop of protein powder into a well-balanced breakfast by stirring it into bowl of oatmeal. 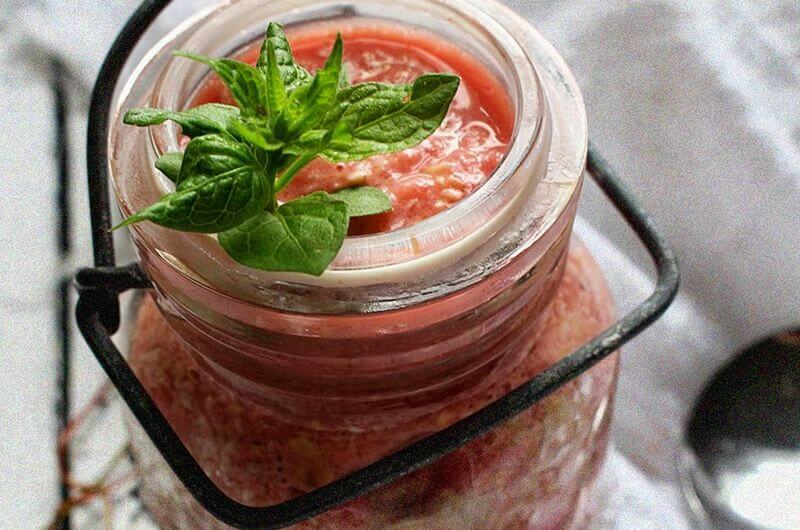 All you have to do is dump all the ingredients into a mason jar, put a lid in it, and shake. Leave it in the fridge for at least five hours. Once they’re ready, overnight oats will stay good for a day or two, so while you’re in the kitchen, you may as well double the recipe. 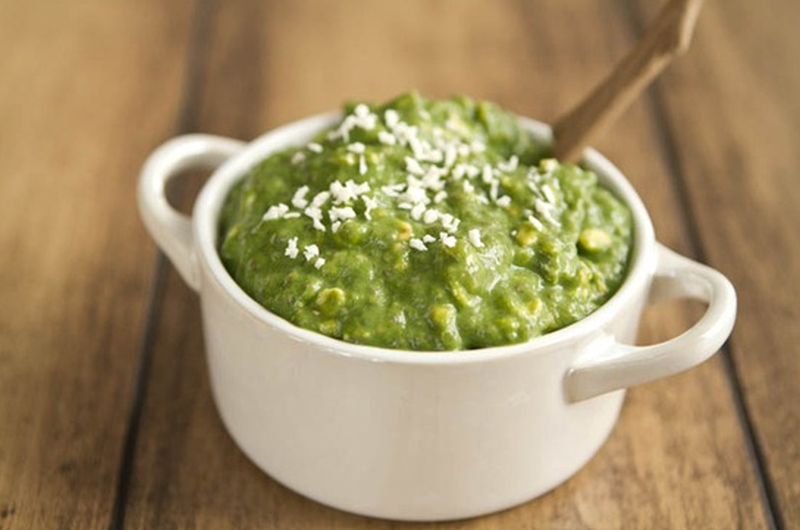 Don’t want to down a green smoothie in the morning? Fill up with a bowl full of oats instead. This has all the same ingredients you’d expect in a green smoothie: a banana, almond milk, chia seeds, and a handful of spinach. After that’s blended up, stir in the oats, and leave it in the fridge overnight so you’ll have a healthy breakfast ready when you wake up. To really amp up the banana bread flavor in any recipe, take a few minutes to roast them. All you have to do is throw the banana in a hot oven – peel and all – for about 15 minutes. Once it’s cooled down, just mash up the fruit, and mix with oats and yogurt. Roasting them is a great way to keep bananas from being wasted as they’ll keep in the fridge for a few days, or can be cut up and frozen. Overnight oats are a good use of fresh fruit, but it’s not necessary to make a breakfast that’s healthy and delicious. This version is inspired by Oreo cookies, but instead of processed sugar, there’s all-natural date puree. For more sweetness, the homemade chocolate PB2 can be made into a chocolate cookie butter by stirring in enough honey. To top it all off, a scoop of WHEY+ cookies and cream protein powder will boost the macros while adding stevia and some tiny chocolate cookie crumbs. Making something taste like key lime pie takes more than squeezing citrus. To get the richness of a custard pie filling, you’ll need more than skim milk. Just a tablespoon of sweetened condensed milk will do the trick, plus some butter (or butter flavoring). Crumble a graham cracker over top, and it’s like an upside-down pie crust. 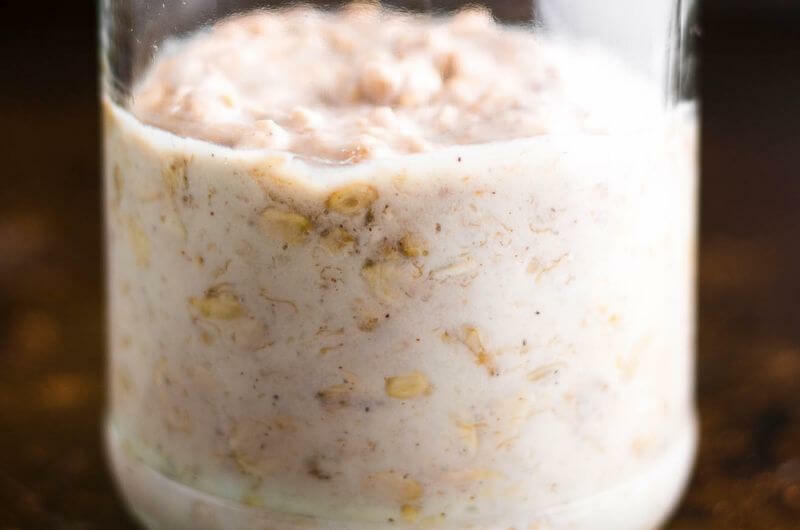 When you’re still waiting on the fall chill to signal the change in seasons, you can get a taste of pumpkin spice with these protein overnight oats. It’s the perfect breakfast or high-protein snack to transition out of the warm summer weather. 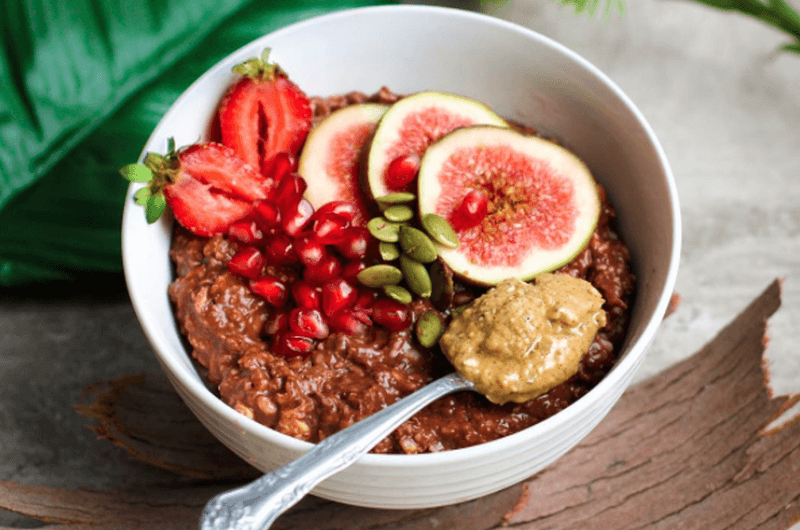 And if you wake up surprised by a sudden drop in temperature, overnight oats can be warmed up in the morning to eat like a regular bowl of oatmeal. 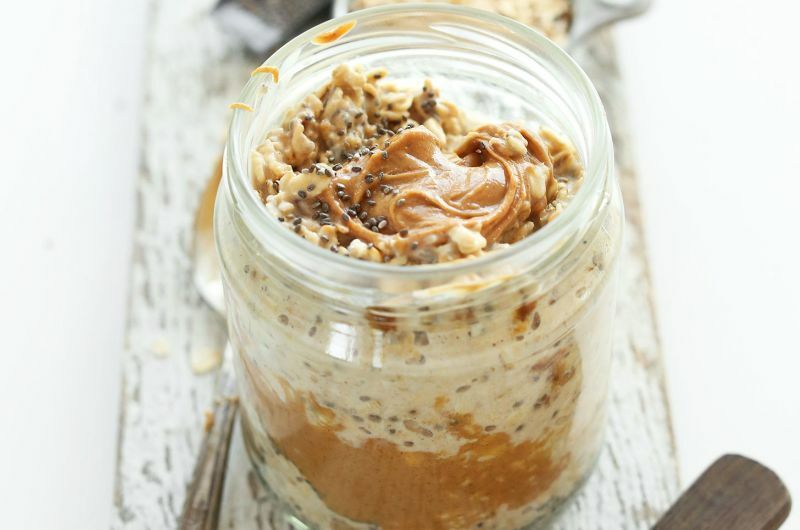 Whenever you’re at the bottom of an almond butter jar, it’s time to make overnight oats. You don’t even have to dirty any dishes except a spoon. Stir in equal amounts of oats, milk, and yogurt. Then mash half a banana to add to the mix. Of course this works to clean out other jarred foods too, like jam, peanut butter, and Nutella. Most overnight oats can be eaten hot or cold, so you can still use this prep method in the winter, then warm up the mixture in the morning. 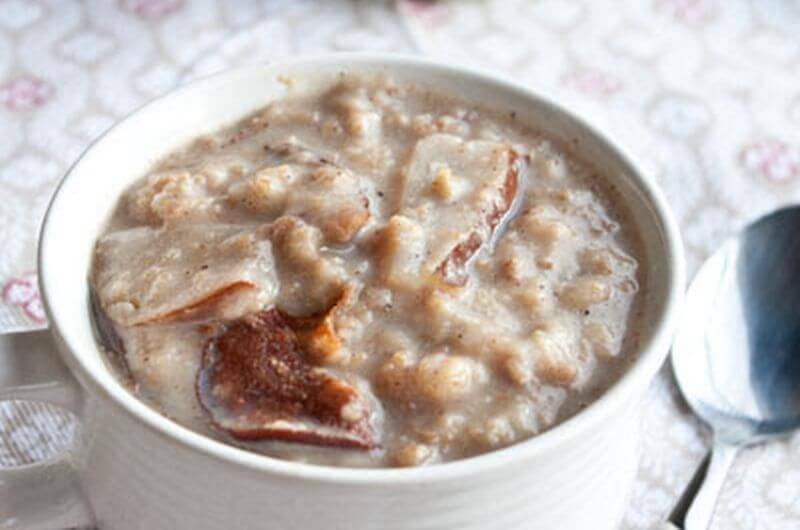 But if you’d rather have that oatmeal ready to go first thing in the morning, forego the fridge overnight, and cook it in a Crock Pot instead. That way the oats stay warm while cooking, which creates a more traditional oatmeal texture. One watermelon goes a long way, so if you don’t know what to do with extra slices, get creative by making these overnight oats. Watermelon is, well, watery, so it’s a great fruit to use when you don’t want to add yogurt or dairy to the mix. You could even replace the almond milk with juice, like strawberry, raspberry, or cucumber. 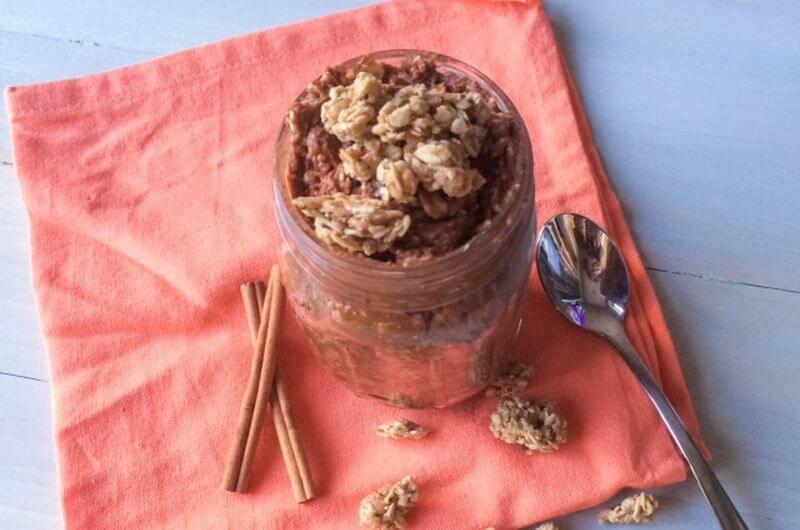 Here’s a smart way to serve your overnight oats. 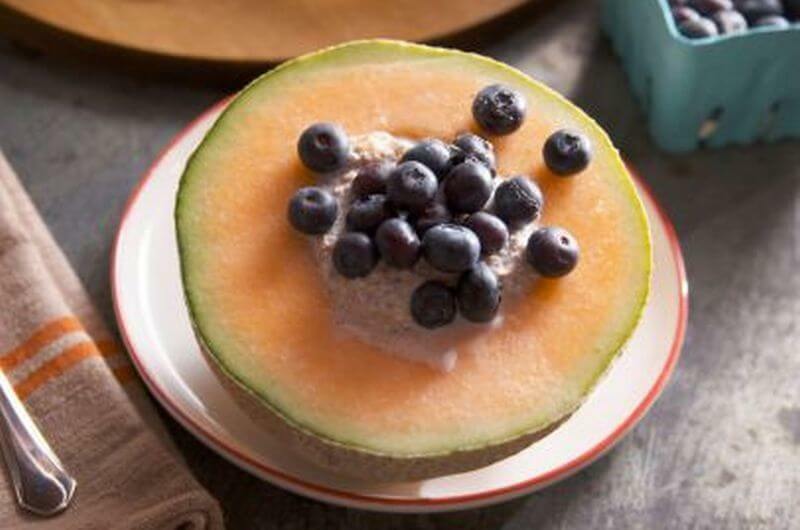 Cut a cantaloupe in half, scoop out the seeds, and fill it up with the refrigerated oats you prepared the day before. Then you have an edible breakfast bowl with fiber, potassium, and vitamin C. If you’re not in the mood for blueberries, try other summer fruits like kiwi, peaches, or strawberries. Or just go for good ol’ fashioned vanilla oats. 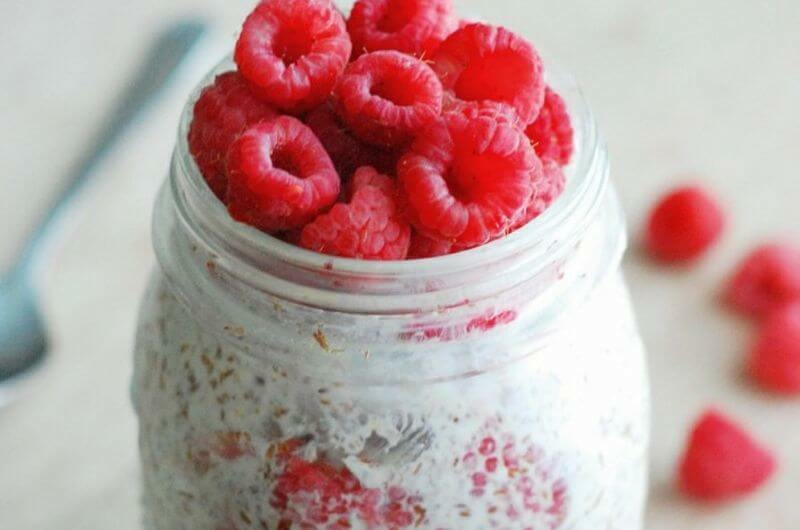 What did you think of these overnight oats recipes? Have anything else to share? Let me know in the comments below!